Today... and every day. 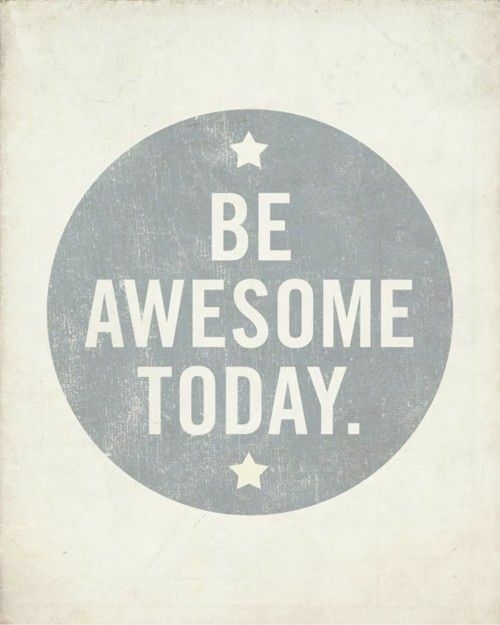 Because you are SO super awesome. May your day be ridiculously terrific. Please come back later and tell me all the funny, great, lovely things that happened and we'll swap stories. I had an awesome day, because it was my birthday :) I also went back to work after three weeks off, that wasn't quite so great, but birthday trumps!